My artwork and the Paper toys. I'm artist and love create the LINE. 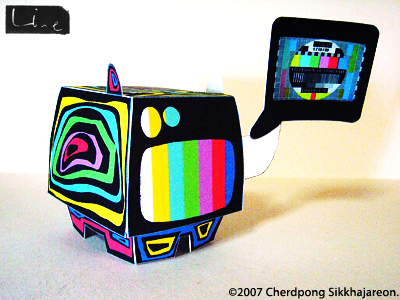 Not only in the childhood I am still love the paper toy, fantastic shape and template design. The folding plant paper build the 3D model, not a toy anymore it's ART! I'm not a smart guy who make a cool template and character design but I like to customize and mark my line on them. This is my work about customized the character in my way with my marker and LINEart. "Vivace Colour! ", LINEart and Speakerdog. 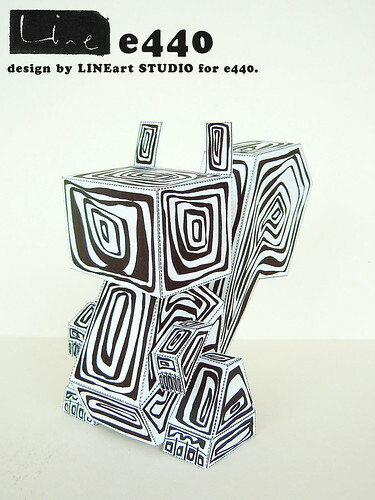 LINEart STUDIO design for e440. Thank you Ring for really nice template of this boy, e440. hey line, whats up?...anythng good goin on? Now I was creating my new art collection, the marker lineart. 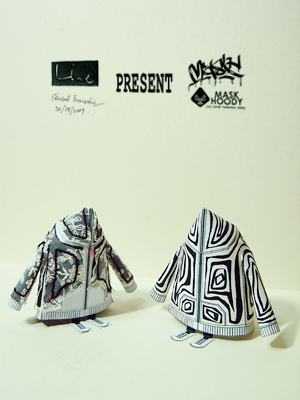 I spend most of time for inspired and make my line, so really miss the paper toy. If you interested to see my lasted artwork collection, visit my website. It's really hard working but enjoy so much, as same as you doing your work. Hey... Nice to meet another artist from around the region. I am Jun, from Singapore. I'm a sculptor, but I make simple graphics as well. Thailand is a nice place! 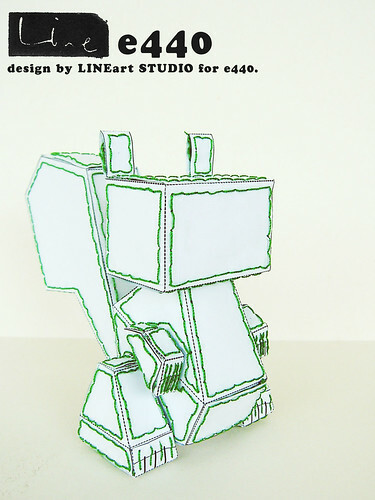 Hi Lineart, welcome to Nice Papertoys!